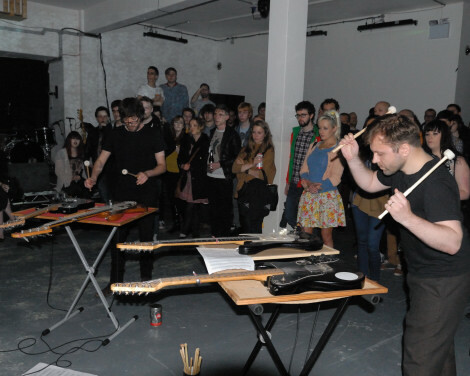 The Merseyside-based ambient collective announce their seven-track debut and celebrate with August shows in Liverpool and London, as Getintothis’ David Hall reports. Critically-acclaimed for their layered drone textures created through percussive playing of prepared guitars, the avant-garde three piece, Ex Easter Island Head are now ready their debut full-length release, Twenty-Two Strings. Fresh from their latest live collaborations with Immix Ensemble and choreographer Kei Miyata earlier this year, Ex-Easter Island Head follow up festival appearances at the Stewart Lee-curated ATP, Sounds from the Other City and Liverpool Festival of Psychedelia. With four EPs to their name – the Mallet Guitars trilogy and Large Electric Ensemble – the trio comprising Benjamin Duvall, Benjamin Fair and Jonathan Hering make the leap this summer to a first album. Across seven pieces, Twenty-Two Strings seeks to “push the boundaries of their intentionally restrained set-up, balancing austere physicality with luminescent abstraction to create a bold summation of the group’s work to date”. 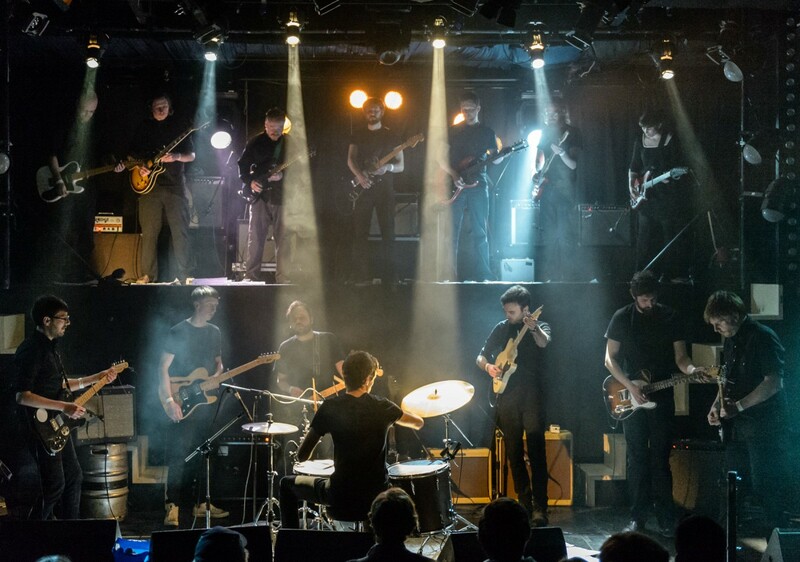 Liverpool-based Ex-Easter Island Head now choose the Philharmonic Music Room as the venue to celebrate the album’s launch, continuing the group’s links with the Royal Liverpool Philharmonic Orchestra. Ex-Easter Island Head‘s album Twenty-Two Strings is released August 5 through Low Point records. The album launch takes place on Thursday, August 18, at Liverpool’s Philharmonic Music Room, with an additional launch show taking place at London’s Iklectik the following evening.